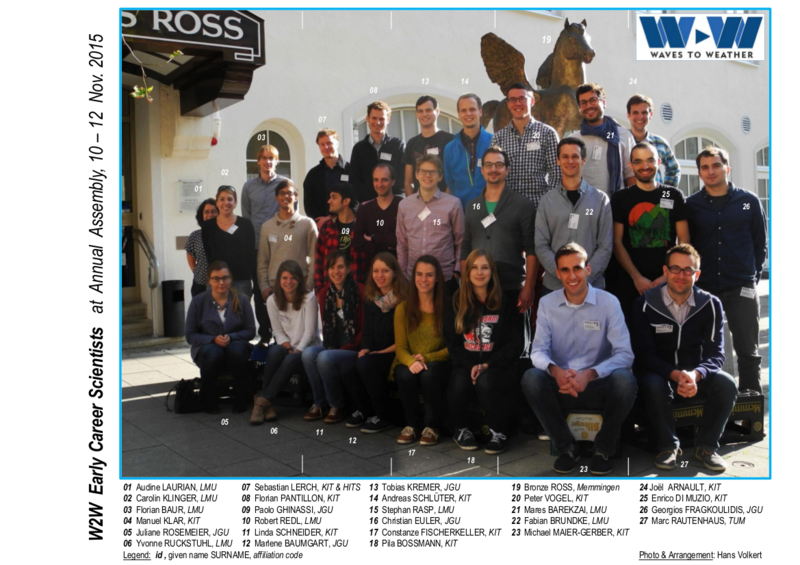 The coordinated training and promotion of early career scientists (students, doctoral candidates, postdocs and future junior group leaders) forms an explicit commitment of all members and participating universities of W2W. We strive to stimulate and support young talents and future weather researchers and to prepare them for leading positions in academia, research laboratories and weather services in a truly international context. 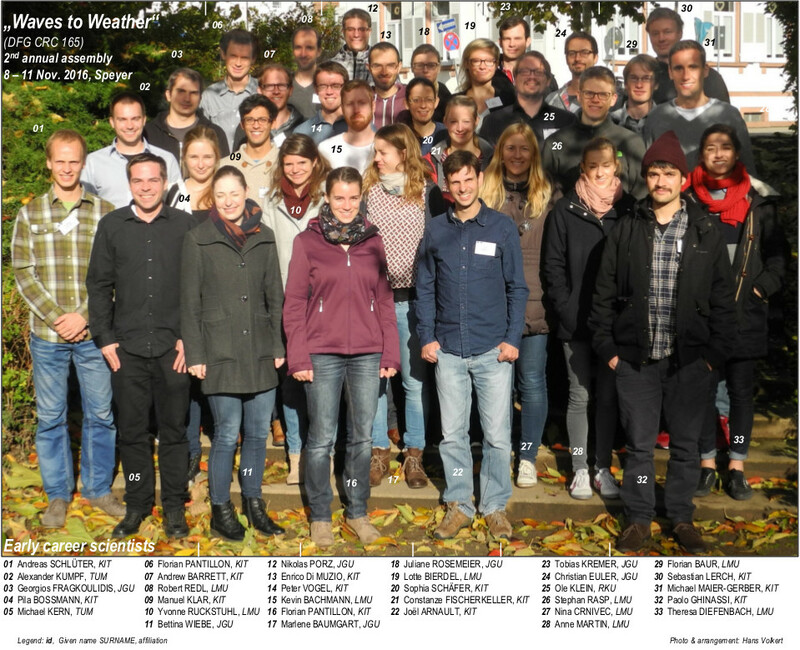 Early-career scientists (ECS) in W2W substantially benefit from the interdisciplinary approach combining atmospheric dynamics, ensemble techniques, physical processes, inverse and statistical methods, and novel visualization tools and from the close links to related research efforts on the international scene. Although W2W does not intend to establish an integrated PhD program, the consortium is determined to create and foster a strong W2W identity. The consortium will integrate the W2W ECS horizontally between the three hosting sites, in particular within each of the Research Areas, and vertically within each of the academic sites. Vertical integration at each university site ensures a vivid interaction with scientists at different levels of their academic career and the participation at local W2W seminars. All doctoral candidates are encouraged to present their results at international conferences and use this opportunity of international exposure and networking early on in their career.